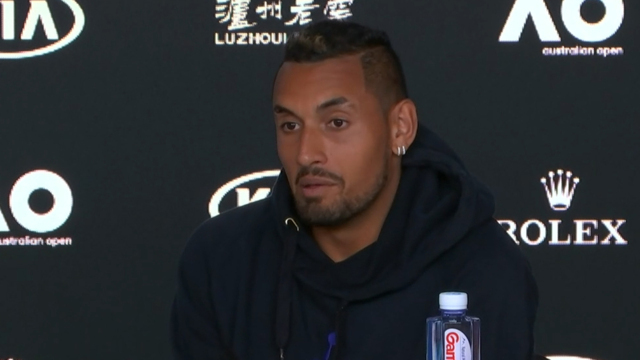 After blacklisting Bernard Tomic, Lleyton Hewitt has issued a stern warning for Nick Kyrgios to lift his game if he wants to play Davis Cup again. Late Thursday night following his Australian Open doubles exit, Hewitt sensationally declared Tomic would never play Davis Cup while he remained captain. He alleged the former Australian No.1 had physically threatened he and his family and also tried to blackmail him in relation to Davis Cup and wildcards. Hewitt said he could "absolutely" see Kyrgios returning to the Davis Cup fold but that he needed to change some of his behaviour. Australia's qualifying tie next month in Adelaide is against Bosnia and Herzegovina. Kyrgios has twice in recent weeks had a dig at Hewitt's courtside support of the country's No.1 Alex de Minaur above other Australian players. Kyrgios also lashed out on Twitter at Hewitt's former coach Roger Rasheed and former AFL champion Gerard Healy with Hewitt talking to him about his use of social media. "That's one of the standards we can't put up with just for the culture of Australian tennis," Hewitt said. "I don't think it's a good look I've spoken to Nick about it and he understands that but whether he learns from it, that's another thing." 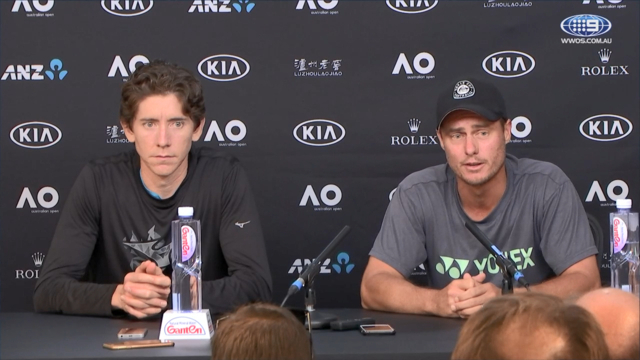 Hewitt said he was disappointed comments from a "clown" like Tomic had overshadowed the efforts of emerging young stars at the Australian Open such as de Minaur, Alex Bolt and Alexei Popyrin. He said he wasn't surprised by their success because he's seen their hard work this pre-season. "For me it's satisfying seeing those guys get results ... I look at those guys and there's a lot of good stories. "We've got some exceptional players doing some exceptional things."